Has Oracle Come Up with the “Holy Grail” of Digital, Distributed, “Green” Energy Resource Management? Some of the world’s largest multinational, high-tech corporations continue to invest heavily to expand their presence across the rapidly transforming power and energy sector. Leveraging investments in cloud platform and application services, data centers, “Big Data” analytics, Internet of Things (IoT) and machine-to-machine (M2M) communications, they’re fueling advances along the lines of the three “D’s” – digitization, decentralization and “decarbonization” – that stake out and define a new energy economy and society. 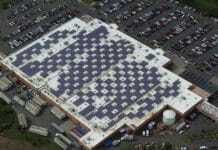 In addition to “greening” its own energy supplies and developing distributed, cloud-based public Web app services, such as Project Sunroof, Google continues to plow capital into “green” utility power purchases and solar and invest directly in solar and wind power projects based on their financial, as well as broader-based, social and environmental merits. 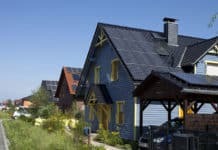 Along the same line, working with corporate clients to develop Smart Home, Smart City and Industrial Internet solutions has emerged as new, strategic commercial focal points for IBM and US-based telecoms giants AT&T and Verizon, as well as international power and energy manufacturers and systems developers, such as ABB and GE. Not to be outdone, Oracle continues to expand and diversify its core enterprise database management systems and business management application packages, as well as enhance and migrate them to distributed, cloud services platforms and services. 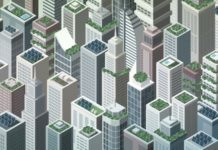 That includes Oracle Utilities, whose latest distributed grid network management platform may signal the genuine dawn of distributed, digital “green” energy and power resource use. Installations of solar photovoltaic (PV) power generation and, more recently, lithium-ion battery-based (LiB) energy storage capacity continue to rise at rapid rates in countries the world over as costs drop to levels competitive with, or below, that for conventional coal, natural gas and other, more expensive, fossil-fuel generation resources – and without subsidies. In a marked, notable shift in China’s solar energy sector (by far the largest in the world), distributed solar power capacity – solar PV systems installed at schools, homes, hospitals, businesses and other sites – was on record-setting pace in 2017’s first half, accounting for nearly one-third of the record-high 24-gigawatts (GWs) of new solar power capacity installed across the nation. Idled solar power capacity dropped five percentage points during the period, and actual solar power plant output jumped 80 percent year-over-year in May. 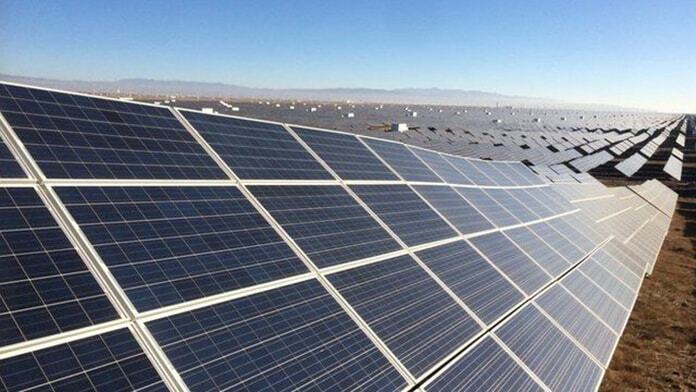 In addition, renewable energy sources recently powered the entire province of Qinghai in western China for seven consecutive days. For its part, ReneSola recently announced it installed more than 170-MWs of grid-connected, beyond-the-meter distributed solar power capacity during 2017’s first six months, all of which will supply electricity to the grid at RMB0.98 per kWh, the going rate as per the terms of China’s national feed-in tariff. That’s more than half the way to its goal of deploying 300-MWs for the year. 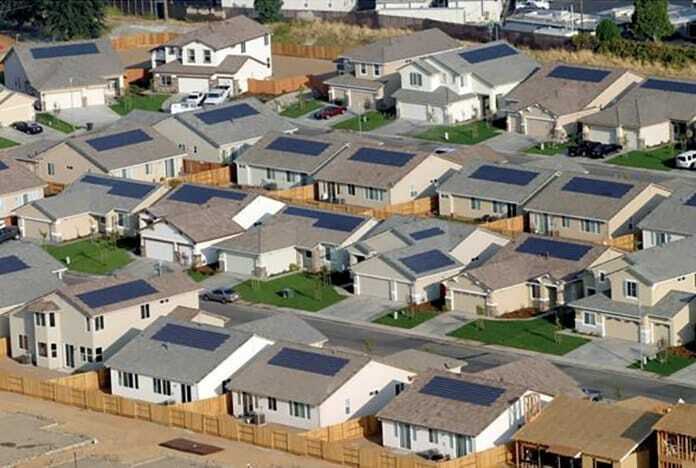 Amid the rapid growth, integrating solar power capacity on to electricity grids continues to be a key issue, and challenge, in China, the US (the nation with the second largest amount of installed solar power generation capacity) and countries worldwide, however. Whether it’s distributed rooftop solar on homes and buildings or massive, utility-scale solar energy generation capacity situated far from cities and other centers of high demand, incumbent utilities continue to lobby politicians and regulators to reform market rules and regulations so they can protect their existing investments in conventional power generation capacity and transmission and distribution infrastructure, as well as take better advantage of emerging new distributed solar, renewable energy and smart grid opportunities. On the other hand, upstart, independent renewable energy producers and clean-tech developers argue that they deserve to be given equal opportunity to compete on a level playing field. They’re lobbying politicians and regulators to restructure US power and energy markets and institute market reforms as well. Parties from both camps need to be able to demonstrate they have all that’s required to deploy, integrate, manage the growing number and diversity of grid network-connected digital energy assets coming online. Just recently, Oracle Utilities unveiled the latest two additional modules to its cloud services platform: the Operational Device Cloud Service (ODCS) and Work and Asset Cloud Asset/Performance Management Service (WACS). Evolving via acquisitions and in-house development, the business group has assembled and created what it asserts is the largest “industrial strength,” utility-specific set of cloud services available. “From a functional point of view, this is a complete platform that provides ‘cradle to grave’ asset management for utilities, including digital assets – solar energy, energy storage, electric vehicle (EV) charging stations, next-generation distributed energy resources, such as smart meters and smart sensors – all accessible via same user interface and employing the same logic and processes as traditional utility assets,” Oracle Utilities Group VP for product development and management Dan Byrnes touted in a recent interview. Oracle Utilities VP of Industry Strategy Brad Williams numbers among the first generation of power and energy industry engineering professionals to come up against the formidable challenge of integrating rapidly increasing amounts of distributed solar and wind power capacity on to power grids. 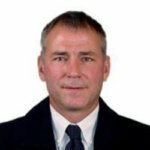 Starting out as a transmission planning engineer in Southern California, Williams and colleagues integrated “lots of renewables” on to the grid for PacifiCorp and Southern California Edison (SCE) in the 1990s when it was still early days for distributed solar and wind power generation. Whether it’s in California, New York, Massachusetts, Texas or in countries overseas, such as European Union members, Australia, India or China, integrating behind-, or beyond-the-meter (BTM) to power grids is the direction the industry is moving, Williams explained. That’s especially the case in countries where renewable energy penetration – and utility customer solar power generation more specifically – is already high. “We are seeing significant growth of cloud services use among utilities, particularly revolving around use of ‘Big Data’ and predictive analytics applications,” he elaborated. Distributed grid network systems management is one of the key application services Williams and team have been driving forward. Williams believes their latest distributed grid network systems application release, which took place in November, will serve as something of a game-changer. “We’re not just talking about enabling and supporting high-voltage grid transmission and distribution, but integration and support down to the customer and any level of consumer generation technology,” Williams explained. One unnamed utility in Southern California is using Oracle Utilities Web services platform to gather and analyze data to model a previously unheard of 800-MWs worth of distributed solar and renewable power capacity, Williams highlighted. Assuming an average power capacity of 5-kW that would make for 160,000 grid-connected rooftop solar, or other equivalent, customer-sited, beyond-the-meter generation capacity. In the wake of the initial launch of net metering, California’s grid operator was not able to tell how much gross load there was at any point in time, just the load net of distributed solar and wind power generation. Complying with international safety standards governing operations in the event of outages (more specifically, IEEE 1547) led to secondary outages on adjacent circuits due to what’s known in the industry as “hidden load” – electrical load that was being met by beyond-the-meter distributed energy resources, Williams explained. 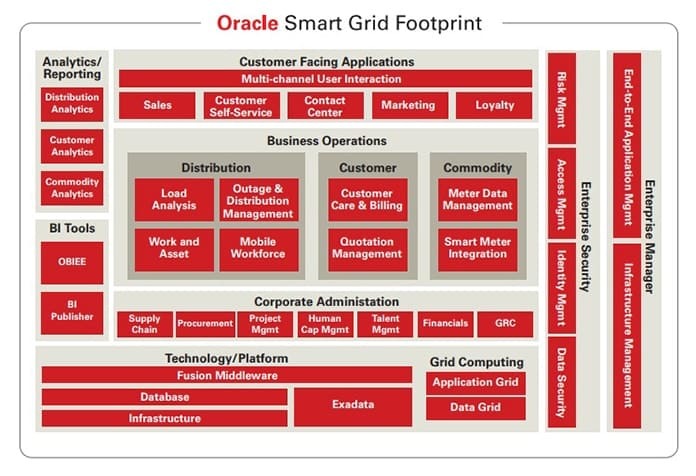 Oracle Utility’s grid network management platform provides grid operators and utilities visibility into gross loads on network circuits in unprecedented granularity, down to devices installed in customers’ homes, he continued. In addition, the platform solves other difficult problems associated with real-time management of a distributed grid network that relies heavily on solar, wind and other zero-emissions energy resources. “Similarly, it’s difficult to adjust to weather conditions, which can vary substantially over short periods of time. You might have high temperatures, so air conditioning loads go up, but that doesn’t necessarily affect solar power generation, which depends primarily on solar incidence,” Williams offered up as one example. Oracle Utilities’ latest platform solved that by building in improved, much more granular weather forecasting models and analytics, as well as the ability to adjust generation and load assets on the fly in real-time. That enhanced forecasting ability includes granular weather station forecasts not only for temperature, but cloud density at a given point on the earth and associate that with rooftop PV at or near those points, Williams said. Near-term weather forecasts extending out a few hours are the most accurate, and the most critical in terms of ensuring smooth grid operations and contributing to the financial bottom line. Improved forecasts for the next seven days peak also have been added to platform. The “Holy Grail” of digital, decentralized zero-emissions power and energy? Oracle Utilities’ latest grid network platform also provides grid operators, utilities and independent power producers the ability to predict and mitigate “back-feed” and swings in voltage that can compromise power supplies. “We believe the future of the industry lies in integrating beyond-the-meter customer assets, along with increasing utility-customer engagement and interaction,” Williams told Solar Magazine. Cloud cover can move in quickly and lead to sharp, short drops in power and energy output. With end-to-end network power and energy management data acquisition, analytics, control and management tools, utilities can just as quickly engage adjust beyond-the-meter power generation and customer demand response assets to adapt, Williams elaborated.